‘Gravity is the problem’ or so said one of our regular cyclists some years ago as we panted up some lung busting incline. I was reminded of that observation quite a lot on this year’s Hayling Cycle Ride when cyclists climbed 16,000 feet in 5 days, perhaps a shade more if they had a top bunk on the overnight ferry. This was far more than on any previous event. However, that was no real surprise since we knew that in visiting Brittany and the adjacent part of Normandy that there would indeed be an abundance of lumps and cyclists were warned accordingly. And this all added to the sense of achievement felt by all participants. We travelled through some pretty countryside covering over 350 miles cycling from St Malo to St Brieux and then to Vannes, Rennes and Coutances before taking the fast ferry from Cherbourg. The day riding from Rennes to Coutances was particularly memorable with nearly 5,000 feet of vertical challenges including a spectacular climb up to the town of Avranches and multiple climbs up to Coutances which is inconsiderately located on a plateau. As we pedalled high toward Avranches there were apparently some great views out over the water towards Mont Saint-Michel but personally I was generally too busy keeping sweat out of my eyes to see much more than the immediate road ahead! Chairman John Tawse and the Hayling Cycle Ride committee are to be congratulated on organising this great event backed up as always by a fantastic support team but I am sure they would agree that the participants always take a major role in helping make it the unique success that it is and in creating the bonhomie which is our hallmark. It was good to see past ride regulars such as Rick Pearson, Barry Dawson and Paul Clutterbuck return after an absence as all of them have always brought much fun to the event. Paul and Barry have between them raised more than £100,000 for their charities. Paul for example has ridden 14 times for Operation Smile and thus over 200 cleft pallet operations have been made possible on children who would otherwise not have had them. There were some notable prize winners. Ditcham Park School pupil Miles Blatter won a special award due to raising over £3,800 for Rare Dementia Support. I do not believe that any young rider has ever raised as much as this. Maria Danaford won the ‘Proof That You Can’ award which is presented every year to the rider who, taking all circumstance into account, has achieved the most. Maria’s was by far the outstanding effort in 2017 and indeed it’s hard to recall anything comparable in any previous event. Four years ago, Maria suffered a stroke and she could neither walk nor talk. However, such has been her recovery that she managed every one of those 16,000 feet of climb!! One of the other award winners was Joe Coates, who jointly received the award for the most impressive newcomer along with his sister Emma and friend Louise Bailey. When collecting their awards Maria and Louise recognised each other since Louise had been part of the physiotherapy team that helped Maria recover. What a lovely coincidence!! St-Malo is considered by many to be the most attractive channel port in France and its cobbled streets are brimming with hotels, restaurants, bars and shops. 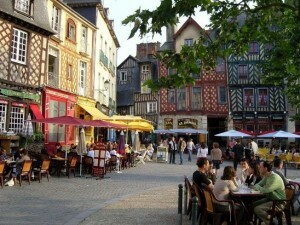 Most of us had breakfast in the old town before starting the cycle ride to St Brieuc. Sa int-Brieuc is named after a Welsh monk Brioc, who Christianised the region in the 6th century and established an oratory there. The town is located by the English Channel, on the Bay of Saint-Brieuc. There is a splendid Cathedral in the town. Two of the hotels are in Langueux on the outskirts of the town, a 5 minute taxi journey from the town. The third hotel is in the town. 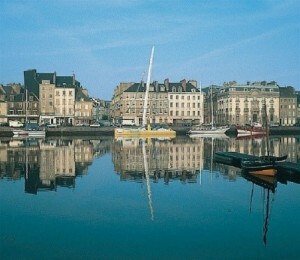 Vannes is renowned to be the most beautiful city in Brittany. Vannes is a walled town in the Brittany region of northwest France. 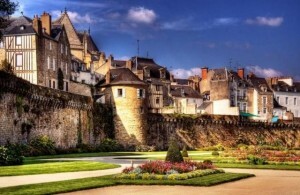 Its well-preserved old town is characterized by narrow cobbled streets and medieval gates. Both hotels are a short walk from the harbour where there are lots of bars and restaurants. 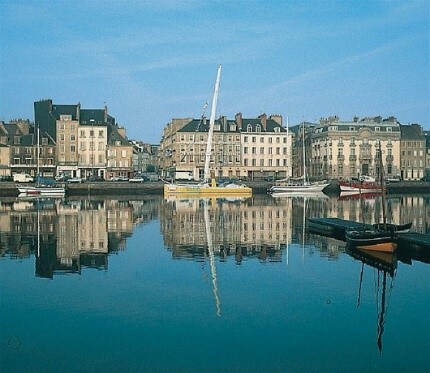 Rennes is the capital city of Brittany, northwest France. It’s known for its medieval half-timbered houses and grand Rennes Cathedral. The hotel is by the railway station and is close to restaurants and bars. We have used the hotel on previous occasions and they were looking forward to seeing us again. 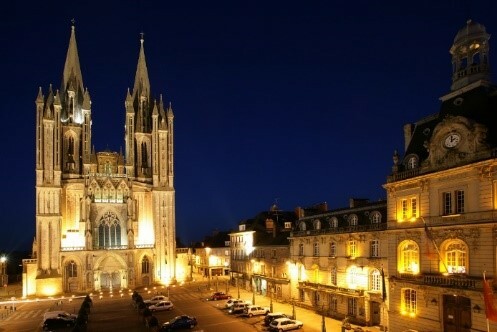 Coutances is found in the Manche department of Normandy, to the south of the Cotentin peninsula. Both hotels are on the outskirts of Coutances, but it was worth visiting the town before heading for the hotels. 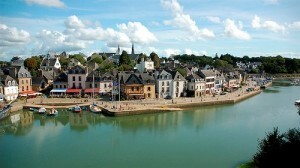 C herbourg, in Normandy, is a port town with a seafaring history that is second to none. One of the first places that the Titanic visited on its fateful journey and quickly liberated from the Nazis after the Normandy Landings. The last night party was held in the Mercure hotel. Meeting at Langstone Technology Park for our traditional parade onto Hayling and a final get-together with friends and families at the Royal British Legion.